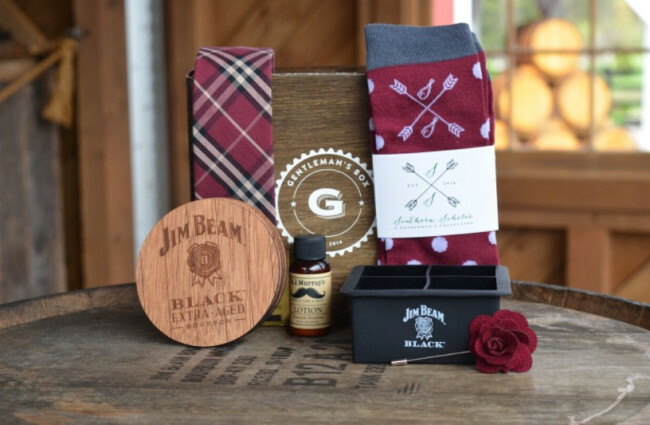 If it is time to show your father how much you love and respect him, but you’re having a difficult time coming up with new ideas, here you have a few cool gifts for manly men which we think will be nice surprises when given as presents. You have an excellent selection of products for each category below. If you need an exciting and weird gift, you can even find that in our guide. And if your dad is an adventurer, you can also choose a hiking gift from our list. The Goozler Best. Dad. Ever. If you adore your father and you want a gift that will show him that, this T-shirt is your safest bet. It comes as it should in a wide range of colors, and it has the text “The best dad ever” written on the front. Moreover, to personalize it, you can choose your favorite color contrast since the manufacturer offers more than one choice. Additionally, it is made of premium cotton, it feels good on the skin, and the color and the printed text won’t fade in time. You can clean it either by hand or with the help of your washing machine. These tools for carving wood and wax are bound to make a long-lasting impression on your parent. They are sharp, diverse, and easy to use, and combined could be an excellent set for a creative individual who likes to give life to things with his own hands. They are suited for more than the two materials and are made of high-quality carbon steel, which is a sturdy choice for tools that will stand the test of time without rusting and without losing their sharpness. The wooden handles are ergonomic and will help your dad with all of his carving projects. Dads who love puns will appreciate this product. It is cleverly designed to highlight the passion for golf most fathers seem to develop after a certain age. The Golf Father is well-made, with sturdy stitches, and it comes in a variety of colors for those who want more options. It has a great feel to it, it fits well, and can be washed with cold water. Everybody will appreciate its design and premium materials since it is created from cotton and polyester, which make it resistant to wear and very comfortable. The old-school T-shirt is an excellent alternative for Father’s Day if you run out of ideas. The Scuddles garden tool set can become more than the perfect last-minute gift. It features a new and improved design that is capable of offering more to the gardener of the family. And the eight tools included in the package are versatile enough for any intensive task. The pieces are made of anti-rust stainless steel with wooden handles, ideal for wet working conditions, and in the box, you also have included a pair of high-quality gloves. And to help the person using the product not to misplace anything during planting and seeding, the model also comes with a tote bag that is equally superior in craft. Any dad will appreciate this gift because, with its help, the whole family can gather over an excellent barbecue and strengthen the bonds between the members. Each of the pieces of the complete toolset is made of stainless steel for a premium finish and increased resistance to heat and rust. Some of the included pieces are the swiss knife, the power tongs, a spatula, corn holders, and many others. The best thing about the model is that it looks expensive without having an astronomical price tag. It can make for a good Father’s Day or a birthday gift since it is so useful for the meat lover. A pair of socks like this, with a sense of humor, is something that will never run out of style. These pieces are unisex and hilarious. They feature an eye-catching design and colors, and a text that will make anyone smile once they read it. If your father has a fondness for beer, he’s never going to take them off. The product is machine washable, and it is made of a type of expandable cotton combined with wool for a touch of warmth and comfort. No matter if you buy them for a special occasion or just to show your father that he is treasured, they are bound to make a statement. A keychain accessory is a universal gift that is both thoughtful and cheap at the same time. It is never inappropriate to give it to any person in any situation, especially if it’s well-made like this one. The item has a balanced size and weight, and it is made from rust-free materials. Even the box the present comes in is pretty. This means you are going to save a few bucks when it comes to packing it. It is made of chipboard, and it is covered in a blue paper that has a cool texture. It has a bow on top as well, a finishing touch that will be much appreciated. Have you already picked the gift you will buy for this year Father’s day? If you feel trapped with nowhere to go, maybe it’s time to increase your chances of getting a present for your dad that he will love. Shopping for a gift for your father can place terrible pressure on your shoulders. When Father’s day is right around the corner, you may realize, just like many others, that shopping for moms is way easier. Though, this does not mean that you should just accept your fate and pick a gift that will be just an afterthought, something that needs to be done, without actually caring about what the recipient truly wants. We are here to get you out of the slump of buying socks for your dad on Father’s day. 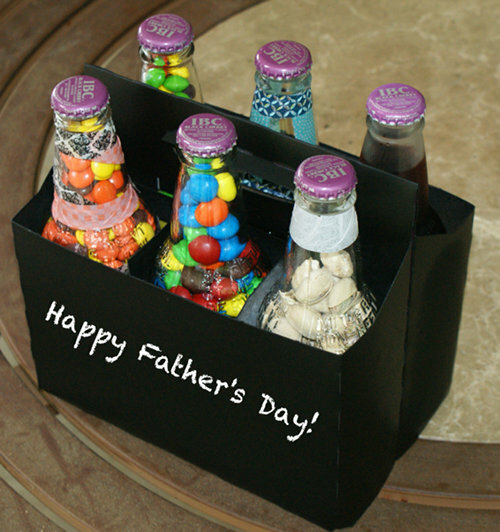 There are plenty of great ideas to try out, so you will just need to focus on getting the one right gift that will put a smile on your dad’s face. Remember how much effort your father has done over the years in buying you beautiful gifts, on more occasions than just your birthday and that will surely be motivation enough to get off your couch, figuratively speaking, and start shopping. Better yet, read this buying guide, and you will learn what needs to be done to get a good Father’s day gift you will never regret having spent money on. No two dads are the same, and we know this very well. With Father’s day quickly approaching, sellers are boasting about their perfect gifts, but that doesn’t mean that you should just go for the first thing that is advertised as being the best present ever for a dad. Bear in mind the next guidelines when you go shopping for cool Father’s day presents, and you will never go wrong again. Purchasing a gift for someone makes it all about that person and now what you think they would like. When you are shopping for a gift for your dad, keep in mind what his interests are. Is he the type who likes traveling a great deal? Is he a whiskey aficionado? Does he like fishing? Paying a little attention to what he usually loves doing will offer you plenty of insight on what he would like. Of course, all of this does not mean that you should settle for buying him a new fishing reel that he won’t probably use. Try fishing for information and see what your dad would like to have, but he never got around to buy for himself. The tested and tried method of finding what is missing from his list of must-haves never fails. Trying to be as knowledgeable about his interests as he is may be very difficult. After all, he is the expert in what he likes. But that should not put you down. Think something about the lines of unique Father’s day gifts that will make him smile. For instance, if he is a fan of a series on TV, buying a mug with a funny message related to that would be a great gift. Gifts for dads can be something difficult to tackle since fathers tend to be self-sufficient and buy themselves all they need. On the bright side, they almost never splurge on their hobbies, and this is where you should come in the picture. Pick something small, but with great significance for him, and you will be able to offer him a gift that he won’t forget. Even if anyone should have a small stash of cash for gifts, especially for the closest people in their lives, we know that it can be pretty difficult to have enough money for what we would like to buy for our fathers. That is why it never hurts to have a budget and shop accordingly. There is an upside to all this, even if you may not notice it at first glance. It is not the financial value of the gift you want to purchase that matters most, but what you invest that gift with, in other words, the feelings of love and appreciation you have for your dad. The truth is you don’t need a hefty price tag attached to your gift. What you need, however, is your gift to make an excellent impression. Shop around and pick things you know your father would love having. If something proves to be too expensive, try finding a version or a close alternative that does not cost an arm and leg. Your dad will know you did your best and that is the most important thing of all. In case you feel a bit stressed about spending money on a gift that your dad will not be interested in using, or doing anything with it, for that matter, there is a path you can follow. That is to offer him an opportunity to do or buy something that he hasn’t had a chance to do or have in a long time. For instance, if your dad likes a particular store and he occasionally shops there, buying a coupon to use there would be an excellent idea. Or, offer him a small getaway trip to a fishing location, as long as it is something you can afford. An experience would be as good a gift as any, and you may not go wrong at all. While this little piece of advice may look like it would go against all the other recommendations from above, you should not overlook it, especially if your dad is the kind of guy who doesn’t hesitate to buy for himself everything he needs. You do not have to be random about it. Check all the cool Father’s day gift ideas offered by others on the Internet, for instance, and see if anything clicks. After all, you are the one who knows your father best, and there might be something you would find useful or interesting for him. From all the presents available for sale, you should pick the one that says that you thought about him when you bought it. Remember that you are not buying a gift to make yourself feel good about doing so, but to make your dad happy. As long as you manage to keep this simple rule in mind, you will not be able to go wrong.